Neville Mars, Dave Harlander, Crystal CG. Sustainability is hot in China. However, its meaning is unclear and often understood as a lining of vagetation and green installations. Research for this project demonstrated that China demands a fundamentally new approach. 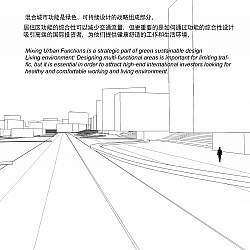 First, because international standards such as LEED certification barely include the role of buildings within the urban network, and how people use an area, secondly because China’s regulations effectively make a green integrated proposal impossible. 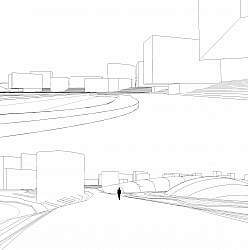 With the municipality as the client we were able to move beyond the rules and produce a mixed, compactness district, with a multi-layer pedestrian center. 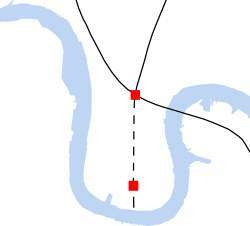 From the beginning, the development of this project has always been circular bridging two interconnected assignments, each answering the others questions. 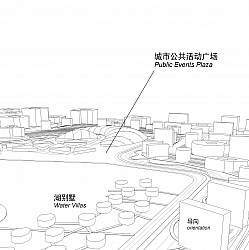 Initially presented with task of designing an exhibition hall for the Binhai area, it immediately became evident that the content, or existing plans for the area, were still unclear. 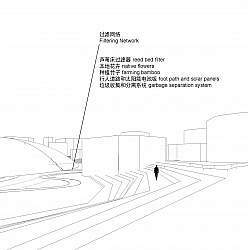 How can we design an exhibition hall that presents ambitious new plans for the new Binhai area, if those plans haven’t yet been realized? 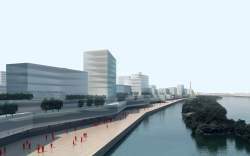 Our approach was to develop a common system that would simultaneously guide the development of both projects. Our green concepts form an integrated solution on every scale from region to interior. Working on the edge of technology and planning, the world’s first green CBD can become a reality. A CBD that doesn’t just look green, but is truly sustainable; an attraction more alluring for investors and residents alike, now and tomorrow. 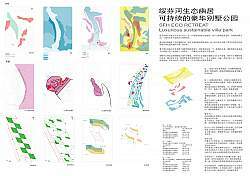 DESIGN AN INNOVATIVE EXHIBITION HALL FOR THE BIG PLANS OF THE BINHAI AREA. THEREFORE WE NEED TO LIFT THE VIEWING DECK. BUT WHAT TO PRESENT INSIDE, WHEN THERE IS NO PLAN YET? 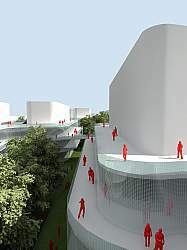 AN EXHIBITION HALL AS AN URBAN BRAIN FOR THE REGION THAT RESPONDS TO THE CHANGING LANDSCAPE AND INTERACTS WITH OTHER PLANNING HALLS AND ITS VISITORS. 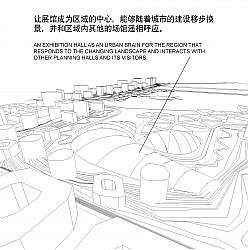 PROVIDE A DESIGN FOR THE LARGER REGION THAT CAN GROW WITH THE CBD EXHITION HALL AS THE STARTING POINT. 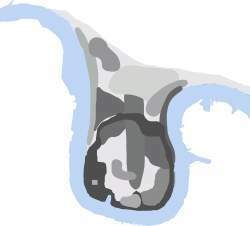 IN THE WORLD’S MOST ASPIRING PORT AREA’S, LIVABILITY AND PROFITABILITY MUST GO TOGETHER. WITH TODAY’S TECHNOLOGY AND INTEGRATED PLANNING A UNIQUE JUXTAPOSITION OF THESE CONDITION IS POSSIBLE. 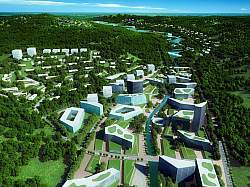 An ecological buffering system, involving a connected water and green ring scheme, surrounds an urban grid to effectively promote flexible green market oriented development. Current planning initiatives are being focused on the new Binhai area, a 2270km coastal corridor connecting the District Dagang in the South with the Hangu District in the North. 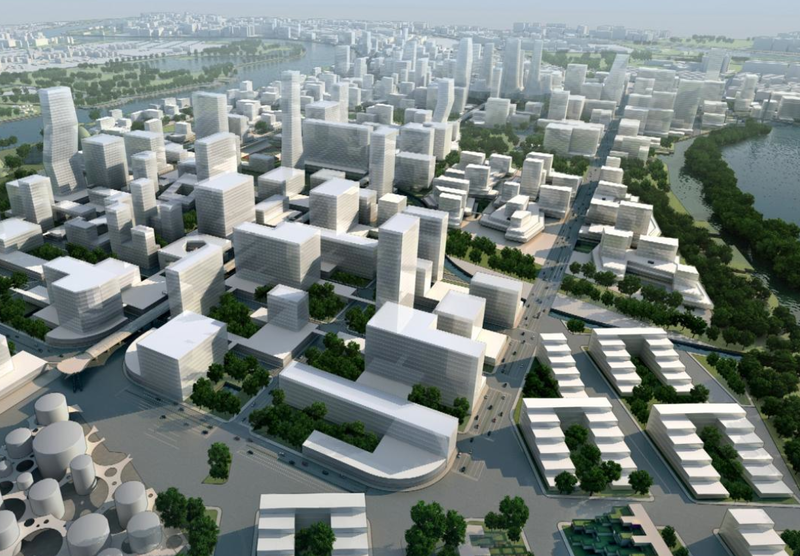 Right in the middle is Tianjin port (one of China’s largest) and the new Tangu CBD area. 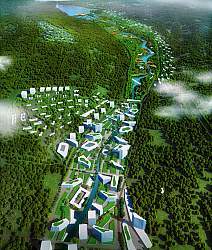 Present government planning statements suggest that NBA will be the new, green economic port of Northern China. 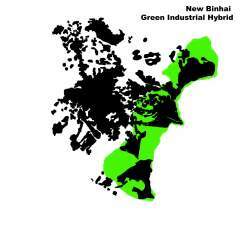 The current condition however is far from green, as the area is entirely industrial. Contrary to planning initiatives, industrial uses continue to prevail within the area. A clear example of this is the construction of the new gasification Cycle power plant, located a mere 6 km outside of the new CBD. Scheduled to be completed in 2010, this coal burning plant is being built on newly developed land, extending out onto the West sea waters, while large tracts of land beside are barren and waiting for ‘investment’. Formerly an industrial inlet, just 5 kms away from the port, the recently designated Tangu CBD is currently in the process of being vacated in order to enable development. The area will act as the central axis of the new Binhai Area stretching the Hangu District in the north to the of District Dagang in the South. In a free market the principal tool to shape the natural growth of the city is investment in infrastructure. In a port area heavy transportation makes the use of tracks obvious, and in a green pedestrian friendly city too, track-based transportation is the ideal option. 目标：整合现有交通线路，预测未来交通走向，创造可达性好的交通网络。Goals: Connecting and expanding existing lines and anticipating future lines in a configuration that reaches most people and makes most connections. 利用最少量的交通设施为远期的CBD南北片区居民提供最佳的交通可达性，同时利用最少的投资建立区域内最广泛的交通连接。The result; maximum accessibility for the CBD from both the expanding North and South areas, with minimal obstructive infrastructure and maximum regional connections with minimum investment. 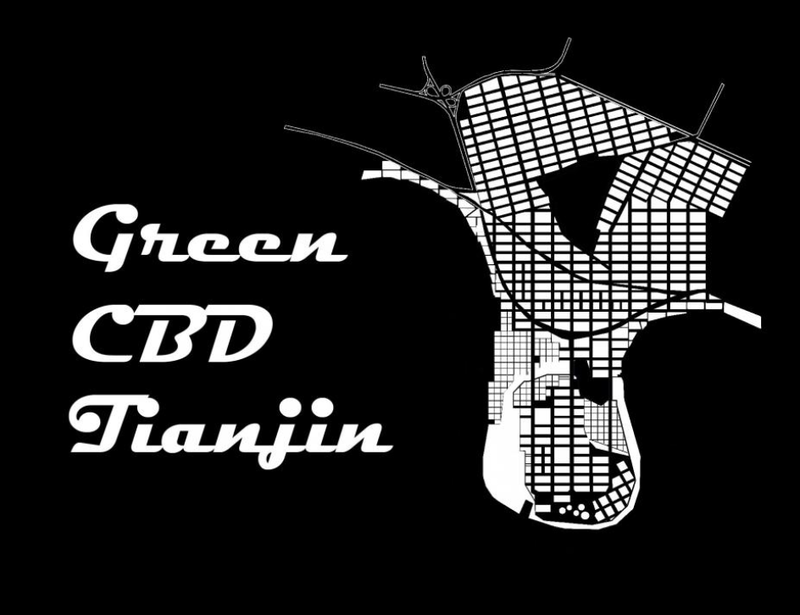 In order to attain optimal market flexibility we looked at the worlds top CBD, Manhattan, and used the primary tool used to help guide flexible development; The grid. 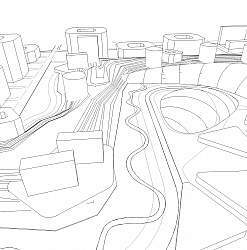 The cities green plan was designed around what is currently recognized as the most comprehensive form of ecological planning; watershed planning. 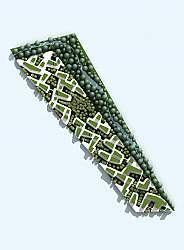 A market oriented grid system designed around ecological buffer zones, works through design to make a flexible and inherently green CBD. 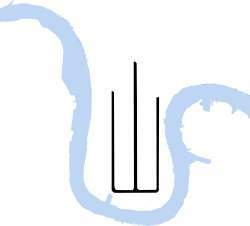 The first guiding tool, water and green are designed as two interlocking belt systems that incorporate the existing water and green resources. The green belt and watersystem works together to create a double flood prevention system. 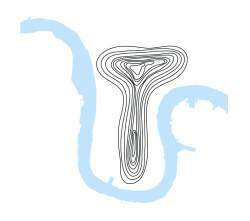 Storm water run-off from the city is absorbed in every direction either into the green park belt or river belt. 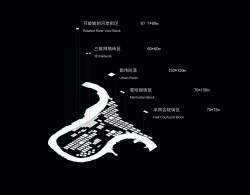 Rising water levels from the Haihe are addressed in stages, first by the wetland buffer, then by the waterfront park along the CBD. 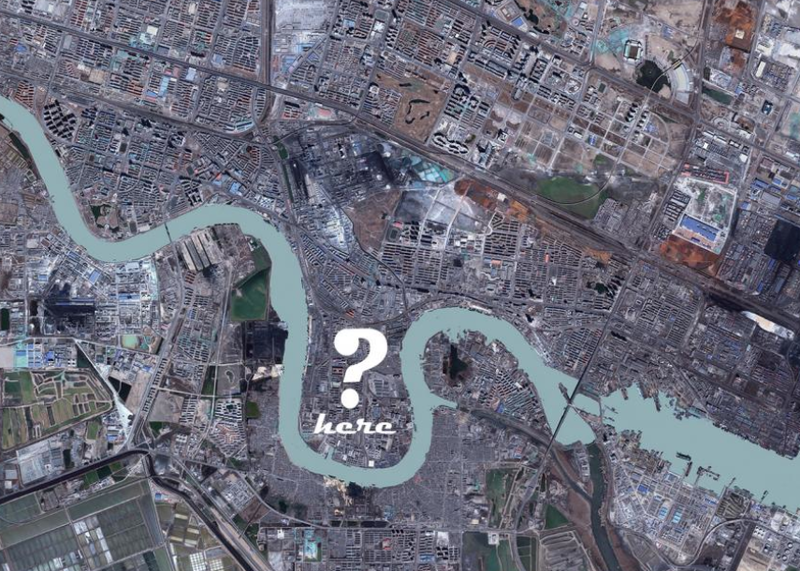 The river is aligned by wetlands that work as in internal water filtering system. 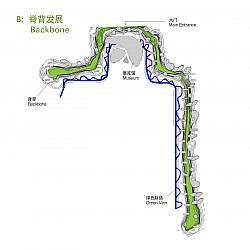 In addition “grey water” is piped to the north where it is discharged into a built wetland. There the water is naturally filtered and stored. The wetland is also a reservoir, used for other municipal needs such as landscape watering, street cleaning, public water fountains, and grey water inputs. In order to offer the developer maximum freedom, the planner should not aim to predetermine specific building types and architectural styles. 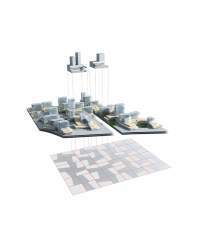 Instead the grid size and orientation is modified in each the different zones of the planned area to stimulate a specific type of buildings and specific neighborhood quality. 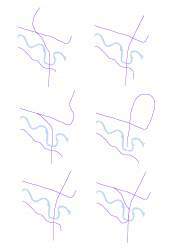 The grid allows for a gradual development of the area. First all the plots revealed by the road system are made into basic green pastures. This makes even unoccupied land look attracative. 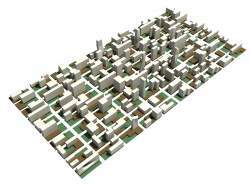 Then the city can grow freely; predominantly from the subway nodes outwards. 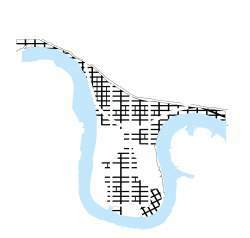 The main road system forms a backbone from which urbanization can grow. 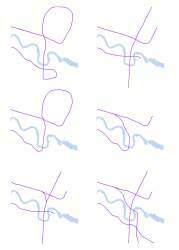 Therefor the main road system must serve as much surface area as possible. 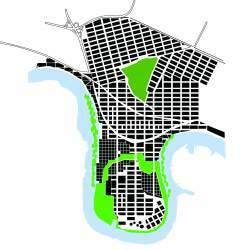 At the same time the green areas, the waterfront and the residential areas should be not be disturbed by its presence. 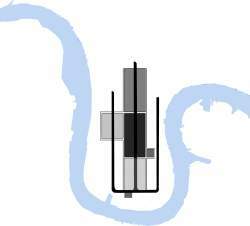 Keeping the waterfront free for pedestrians is possible by concentrating the car flows in one direction on the central axes, after which it splits in two secondary axes. Where the traffic and the buildings are densest. 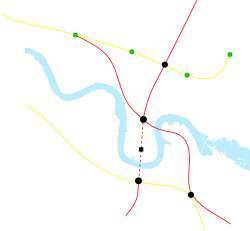 Two light rail line stations will act as exchange centers where pedestrian traffic will be most concentrated. 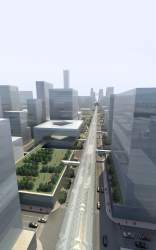 In order to ensure traffic isn’t congested, the corridor connecting the two stations, provides three stacked movement corridors. The underground north south metro line, the grade level street, and the elevated d-rail people mover. This corridor, called ‘CBD main street’ enables high density development, but also high volume pedestrian traffic. 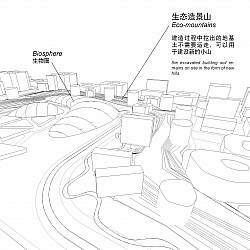 Offices, the core function of the CBD, are supported by a rich variety of other program ensuring a dynamic center and ideal investment enironment that can grow step by step. 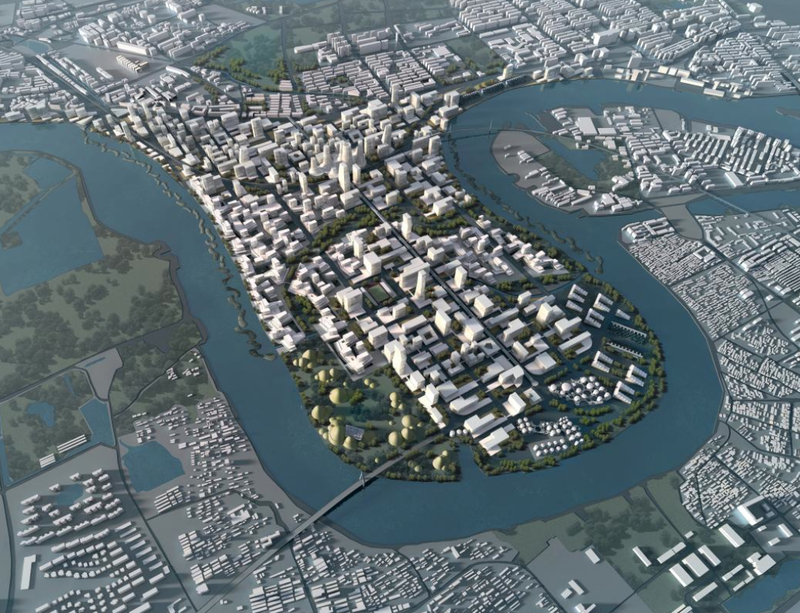 In addition to offices, the CBD continues the entertainment and shopping corridor form the north-west, includes high-end terrace housing to the south-east and large urban event space in the former industrial complexes. 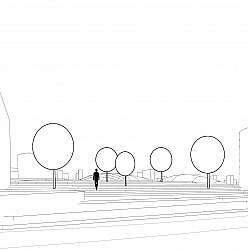 Many urban proposals look green in the picture, but present an illusion. 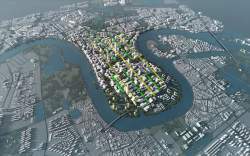 In theory a truly green city is possible, by having the roads underground, buildings surrounded by parks . 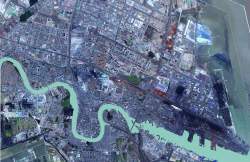 However current planning regulations prohibit a green city from forming because of the unnecessarily large required offsets. 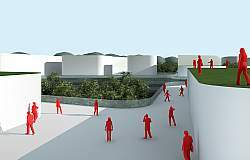 Contemporarily practicesforces architects to focus on the building and limit what can be done on the site. 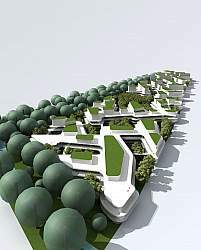 The result is a landscape of buildings as islands stuck within their own environment. Compulsory open space around buildings is clustered together to form local Urban or ‘Green Rooms” while the alternating streets form commercially powerful storefront corridors. Common underground road system connects private and public parking bays and reduces total exterior ramps. 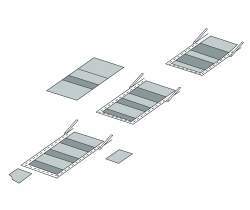 Parking system is divided into three schemes each able to develop organically with the city. Initial Investment of public parking bays will stimulate the expansion of the parking system by providing a direct link for private parking bays. 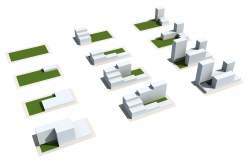 A unique modular design pattern allows the creative industries and recreational areas to grow block by block into a larger always connecting neighborhood. Light penetrates to the underground parking while bridges connect the second level terraces. 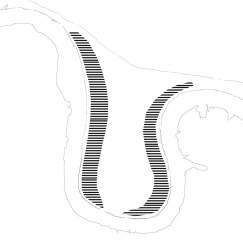 The result is a intricate gradient that unites public with private, large with small. The Drail travelator , connects people from the–BJ-TJ’ high-speed train terminal to the CBD’s southern subway station and provides immediate access to the central backbone of the CBD. 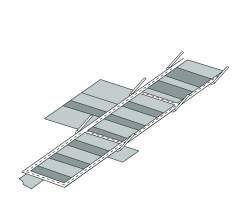 By bringing life to the second level the D-rail, provides an efficient way of moving people throughout the cbd without the use of the car. It presents an attractive corridor for urban investment. 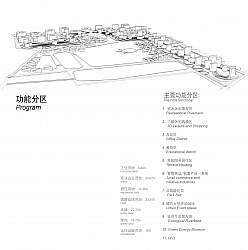 An integrated design for a teachers dorm and service area next to Tsinghua University. 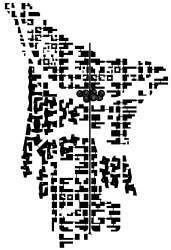 The shape is derived from a modular urban cell that can be rotated and connected without discontinuing the larger system. 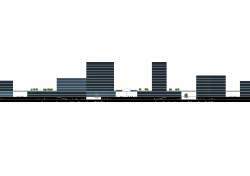 The result is a stacked mixed-use pedestrian area. 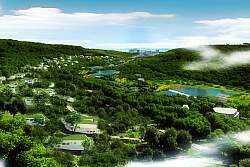 Villa Park and Eco Retreat in Heilongjiang. The analysis of altitude, mountain steepness, view and most notably sun orientation allowed us to design three groups of compact but secluded and very private residential neighborhoods and small business district with a carbon footprint. harmony to provide a clean, low cost, low energy environment.